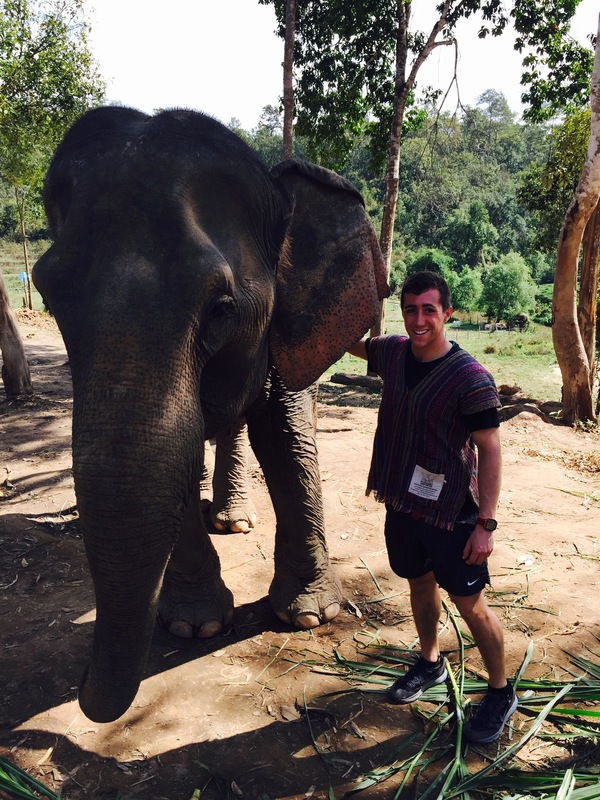 So in a previous post I mentioned that on my last visit to Thailand I rode an Elephant; naive and unaware that by doing so I was buying into a tourist trade of cruelty and torture. This time around therefore I wanted to do something to give back, as well having a positive experience with these beautiful creatures. 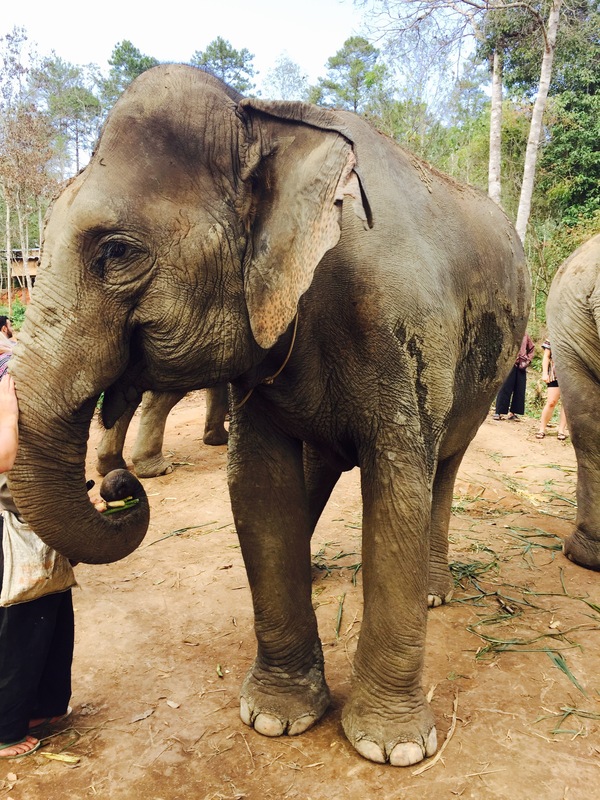 There are many elephant sanctuarys now that claim to be anti-riding and anti-cruelty, offering a range of experiences and activities for visiting tourists. 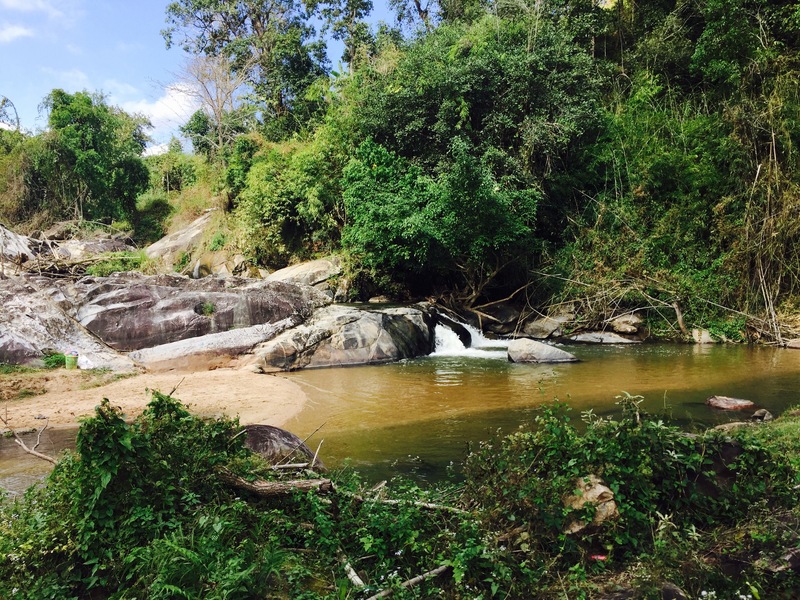 After much deliberation and research we decided to book an overnight visit to the Elephant Jungle Sanctuary, which included a day with the elephants in one of their 8 camps, an overnight stay in a nearby Karen village and a trek the next day. On Monday morning a member of the team picked us up at 8am from our hostel, along with 6 other people who were dotted about the city. 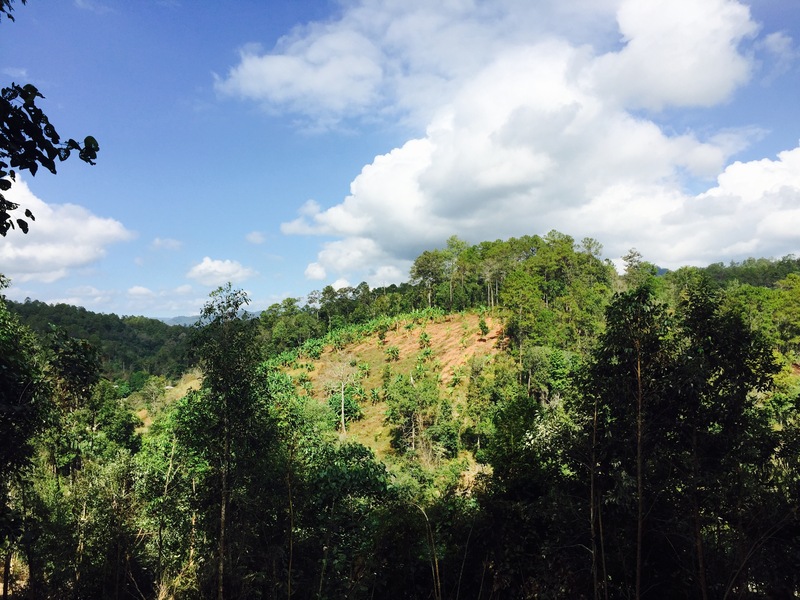 We then made the hour and a half drive into the forest to the camp, which was situated in a valley surrounded by hills. When we first arrived we were given traditional Karen* shirts to wear, so that the Elephants recognised that we were with the team who look after them. We then sat and heard a little more about the Jungle Sanctuary, how many elephants they now had with them, their methods of looking after them, and the schedule of the day. Meeting and feeding the Elephants were the first tasks on the list, and we were given sugar cane to do this. No ropes, hooks or chains are used to control the elephants and they respond to the voices of the team. Training is done by trigger words and feeding rewards; much like how you would train a dog. The elephants are allowed to roam around freely and although the day is structured, the team also follow what the elephants want to do. For example, if an elephant doesn’t want to be around the tourists, they are allowed to walk off alone without being hassled or stopped. After lunch, while the elephants were having a break from us (this happened frequently), we learnt how to make nutrition balls from rice, banana and grains. 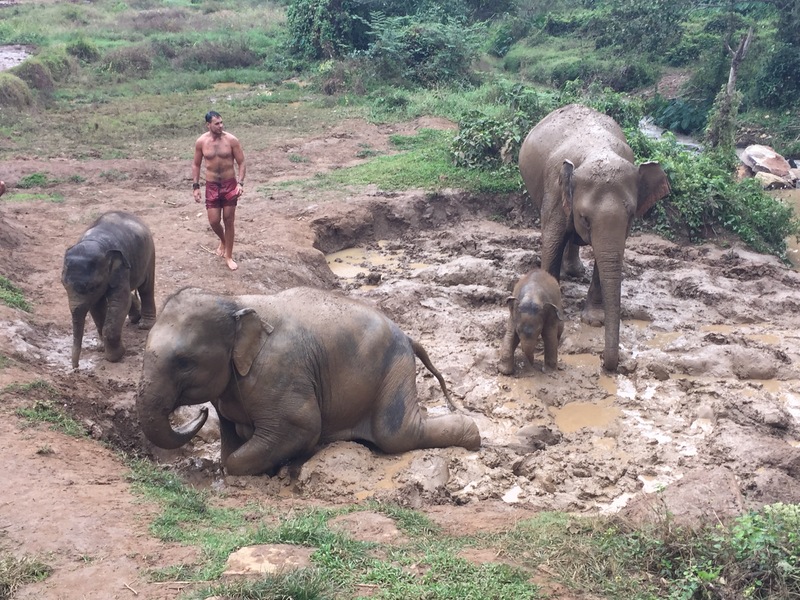 We then changed and went down with the nutrition balls to the mud pits, where we once again fed the elephants and gave them mud baths; something which the animals love! 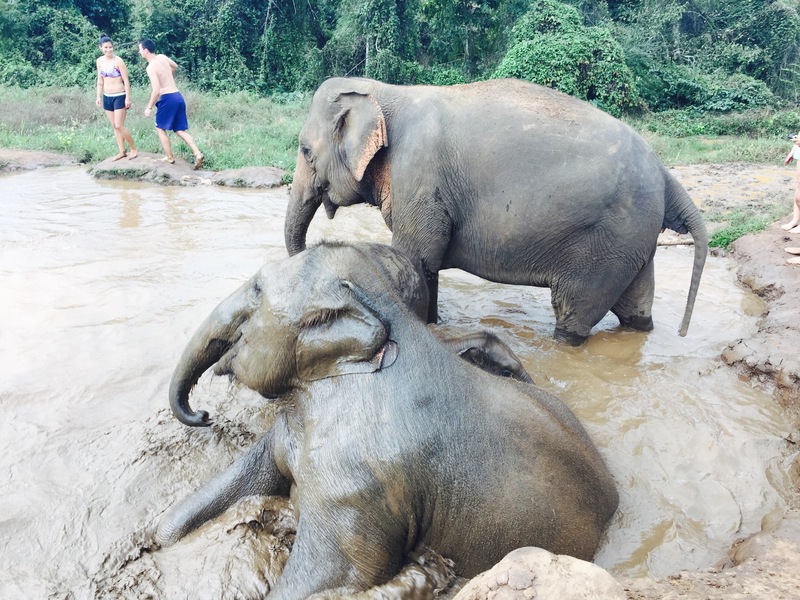 Once the elephants were ready, they headed off the river to rinse off, before returning to the dry soil. They cover themselves in this to protect their skin from unwanted insects. This concluded the day’s visit, and while those who had opted for the full day got into one truck, we headed to another to be taken to the village in which we were staying. 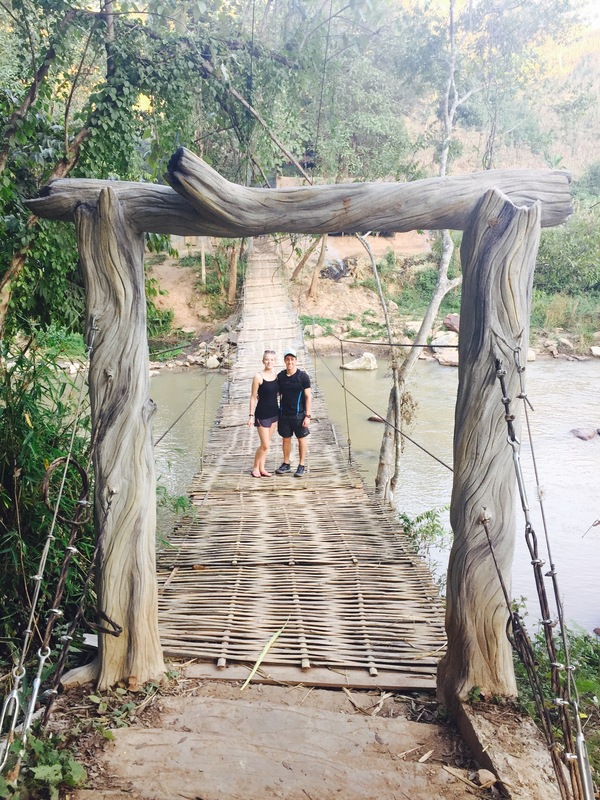 Situated within another camp, we stayed in two traditional bamboo huts, where the locals went about their daily routines around us. The guides cooked us dinner and we sat with them until midnight, drinking, chatting and playing card games. 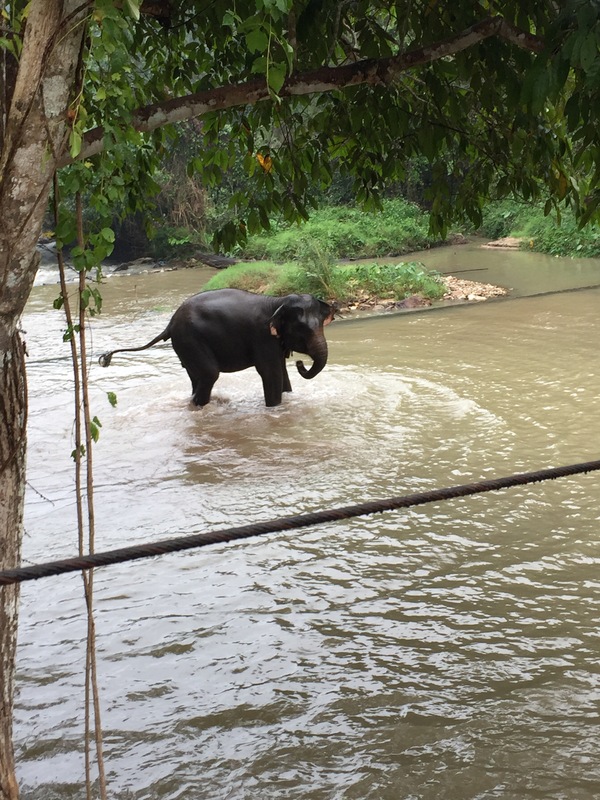 The next morning we awoke to an elephant bathing in the river from the balcony of our hut. It was so lovely to see her having such a good time, allowed to spend as much time as she wanted frolicking in the water (see a video in my previous post). After breakfast we started out on our trek for the day. This consisted of visiting many camps and villages where we watched the training and caring for the thirty elephants that they look after. 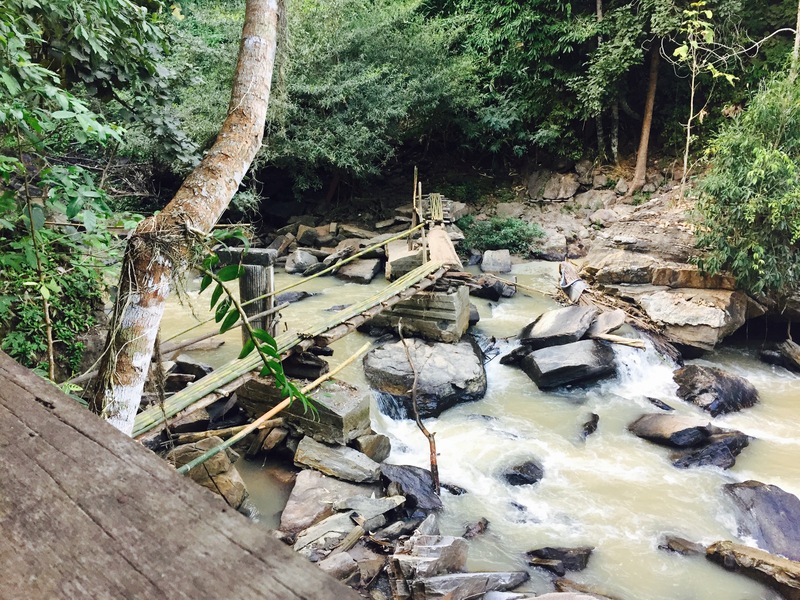 We stopped for lunch next to a beautiful river spot, where a local Karen lady showed me how to traditionally weave a scarf (it’s hard and I’m pretty sure I did a rubbish job). We then headed to the local village school where some of our group gave sweets out to the children, visited the elephants one last time to feed them the watermelon that we didn’t get through at lunchtime, and were dropped back at our hostels around 7pm. It’s hard to put into words the kind of experience we have had over the last 48 hours. 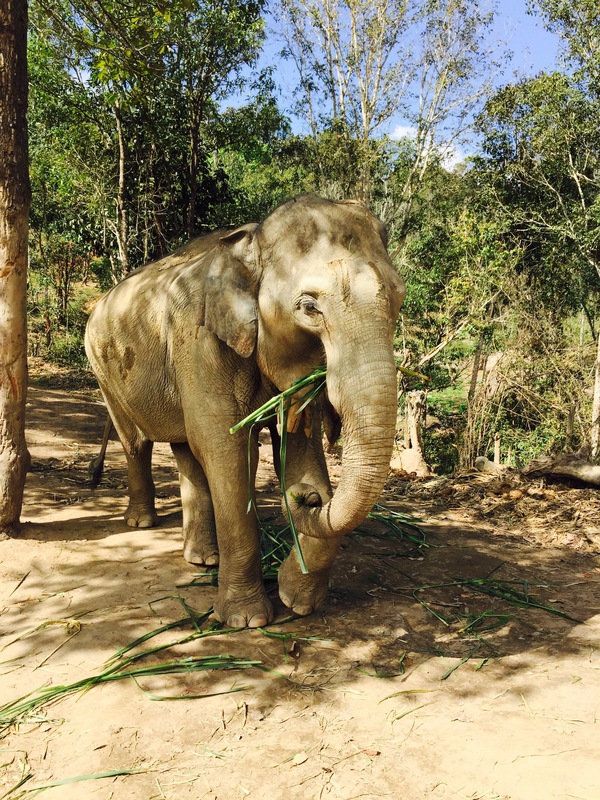 You could tell that the elephants were so happy and content, and their carers visibly adored them and dedicated their lives to looking after them. 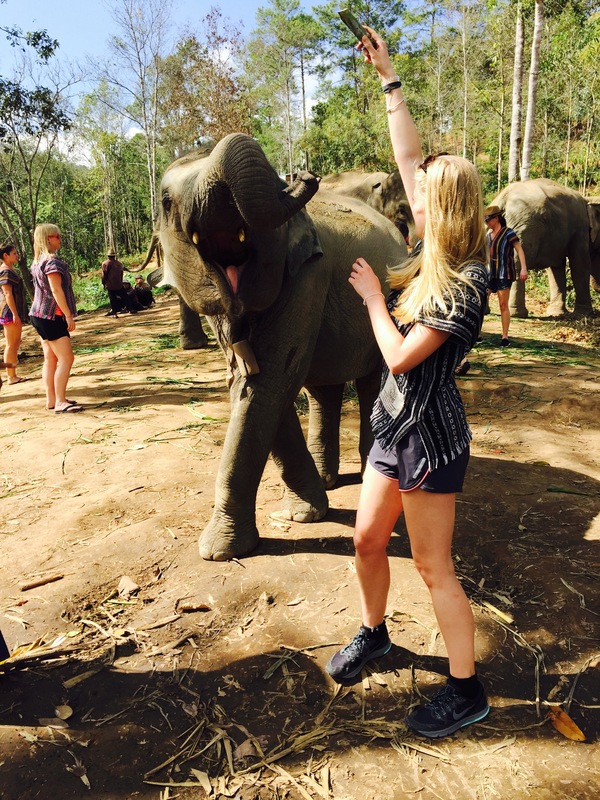 Being able to be so close to the elephants was the most amazing thing, and something I will not forget in a hurry! Staying overnight in the Karen village was such a unique and authentic experience; you really got a feel of the way of life out here for the Karen people and it was refreshing to know that there are still groups that are conserving their traditional way of life. Our guide Pot showed us how in touch he was with the nature around him, getting us to eat flowers, blowing bubbles from leaves and picking out trees and plants that his people use on a day to day basis. 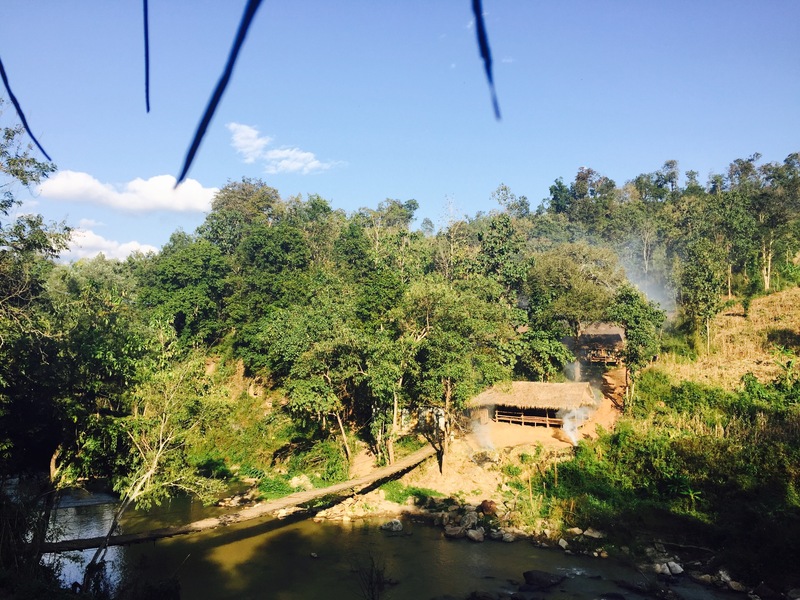 I think it’s great how the Elephant Jungle Sanctuary has managed to successfully create an eco-tourism operation, using it to help fund the care of their elephants and inject some money into their community, without losing the traditions that the Karen people hold so dear. 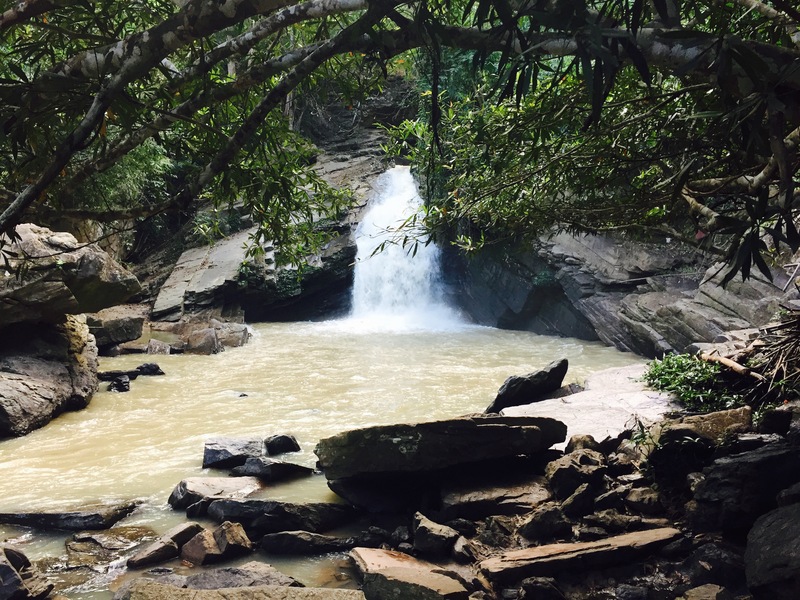 If you’re ever in Chiang Mai, I would highly recommend that you check it out.